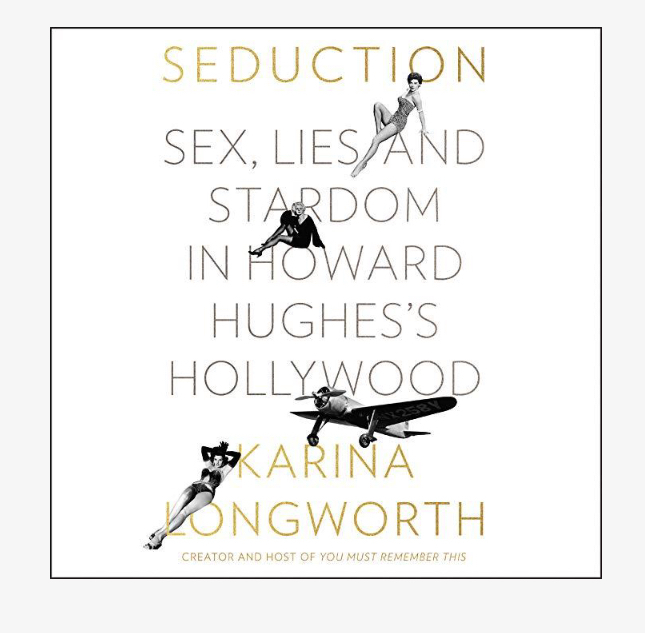 Seduction isn’t about Howard Hughes. I mean, it is, in that he’s the framing device to talk about twentieth century Hollywood, but Seduction is really about all the ways that women were screwed over in the Hollywood machine, from the Silent Era of the 1920s, into the beginnings of television in the 1950s. At the beginning, it’s about how women started with more equality in Hollywood than you might think, both behind and in front of the camera, but men edged them out of the business. It’s about how women were seen only as vehicles for men’s emotional arcs or as prizes to be won in the stories that Hollywood was telling. It’s about how men would limit actresses’ availability or undermine them or keep them as actresses when they really wanted to be something else. If you’re a fan of You Must Remember This (a podcast which is on potentially permanent hiatus), I would highly recommend Seduction, especially in audiobook form. It was like listening to a very long podcast episode (or one of her series of episodes), and I enjoyed it. Even as it was making me angry.